The future of video is increasingly looking like a battle between Netflix and Disney. 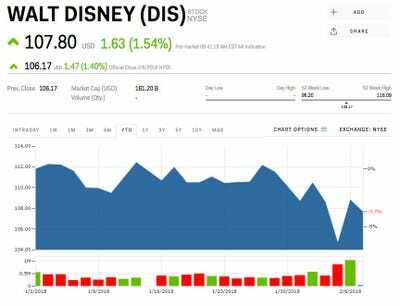 Disney is taking a page from Netflix’s book and could spend the bulk of a big tax break on more content, according to RBC Capital Markets. Watch Disney trade in real time here. Like many US companies this quarter, Disney said it has a lot to gain from a lower corporate tax rate that was passed into law at the beginning of the year. The company is expected to see its effective tax rate lowered from 33% to about 21%, according to Steven Cahal, an analyst at RBC Capital Markets. That could boost free cash flow by about 25%, which in turn, leaves a lot of room to invest in the future. “We’d expect Disney to have ample powder for investing heavily in direct to consumer content to make those products globally competitive as it rolls in FOXA assets,” Cahal said in a note to clients. 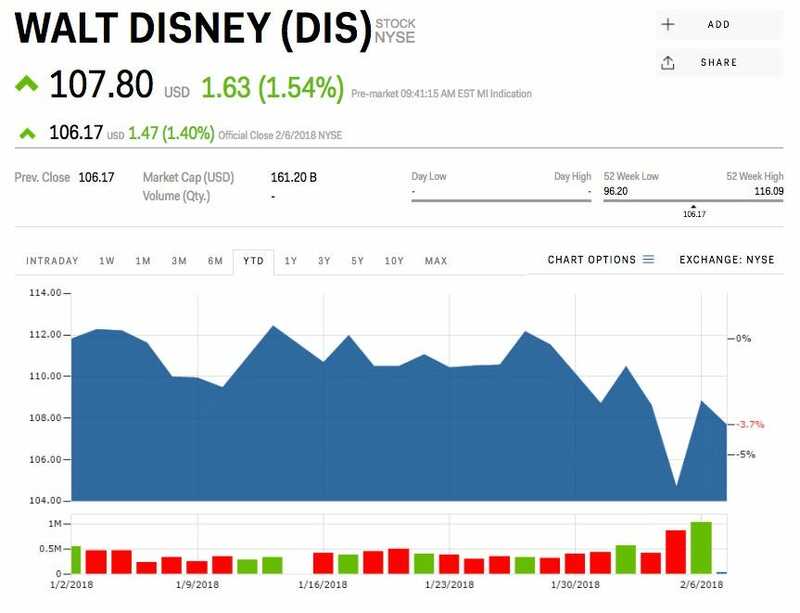 By investing heavily in new content, and the tech behind its upcoming sports app and entertainment app, Disney is placing itself in a good place to take on Netflix, which is now the incumbent in the streaming video business. To be sure, Disney, at $US160 billion, is more valuable than Netflix, at $US115 billion. The company is finalising its purchase of the entertainment side of 21st Century Fox, the content of which it is likely to add to its entertainment app alongside its own content. By using its major boost from taxes, Disney could spend a lot to make or acquire even more content, a strategy that Netflix has proved to work. Netflix is planning on spending upwards of $US8 billion on buying and making content this year, as the company has repeatedly said that good original content is the best way to drive new subscriptions. In just the next few months, Disney is planning on releasing “Black Panther”, “Incredibles 2”, “Solo: A Star Wars Story”, and “Avengers: Infinity War”. Adding all that premium content to a single streaming platform will be a powerful sell for consumers, but Disney will have to keep producing content to keep up with Netflix. Cahal rates Disney as a “Top Pick” with a price target of $US135, about 27% higher than the company’s current price. Read more about Disney’s earnings results here.